To wrap up the 12 Days of Disney Parks Christmas news, I’m pleased to share a few of the details we revealed at tonight’s Star Wars: Galactic Nights panel. 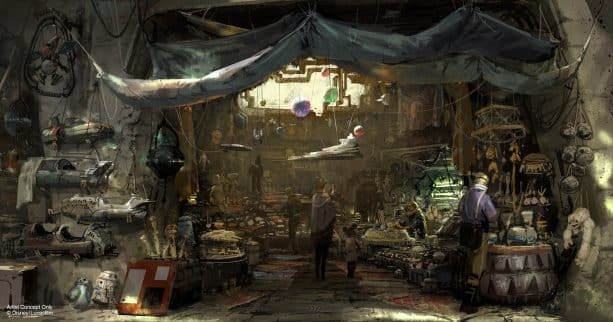 I was honored to be a part of this inside look at Star Wars: Galaxy’s Edge along with my fellow Imagineers Robin Reardon and Chris Beatty, and Doug Chiang from Lucasfilm, and now I’m excited to share the news with all of you! We talked a lot about authenticity – how we are building a real place in the Star Wars universe and how we are working hard to get the details right. One of my favorite examples is the Millennium Falcon. We’ve all seen her on screen, but until you climb through that hatch, walk through her hallways, sit inside the cockpit, power her up and actually FLY her yourself, it’s not quite the same. Here is a photo of the inside of the ship as we are getting her ready and I can’t wait for you to see her yourself! 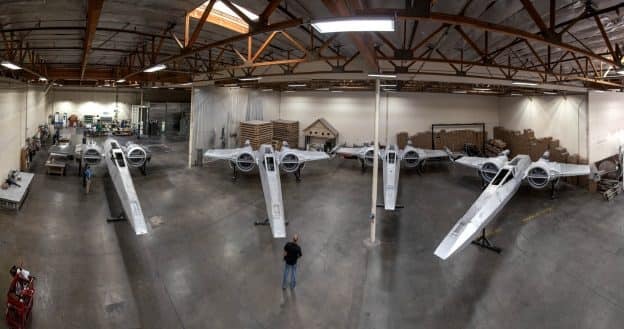 Additionally, Doug highlighted some other examples of the team’s progress, including building a fleet of full-size X-wing starfighters. One tap on the metal side of these ships tells you that they are real, and ready for action! We also discussed the depth of storytelling you can find in this remote outpost. Chris shared some of his experiences researching the exotic markets of Istanbul and Marrakech. They were a great source of inspiration for the marketplace in our village where we can explore a rich collection of shops and merchant stalls. Chris shared a great example of one overseen by a Toydarian, one of the creatures we first encountered on Tatooine in “Star Wars: The Phantom Menace.” So what does he sell? Toys, of course! Here is a piece of concept art for what that toy stall will look like. And inside, you’ll be able to discover all kinds of fun and cool toys straight out of the Star Wars galaxy. Exclusive to this outpost, all these offerings look hand-crafted by local artisans. We looked at some of them recently and they’re going to be really fun, unique, and completely in-story. So again, thanks to everyone who came out to see us at Star Wars: Galactic Nights at Disney’s Hollywood Studios. And thanks for checking in here on the blog. I look forward to sharing more with you soon. My family wants to vacation at Disneyland the summer of 2019 before my oldest son goes to college. I really hope Galaxy’s Edge will be ready by then!!! Amazing, can’t wait. Just watched the latest movie. Totally loved it. Thanks for sharing. It would be a dream come true to work at Galaxy’s Edge as an actor! Any more details about the battle escape ride? Thanks for the update Scott! 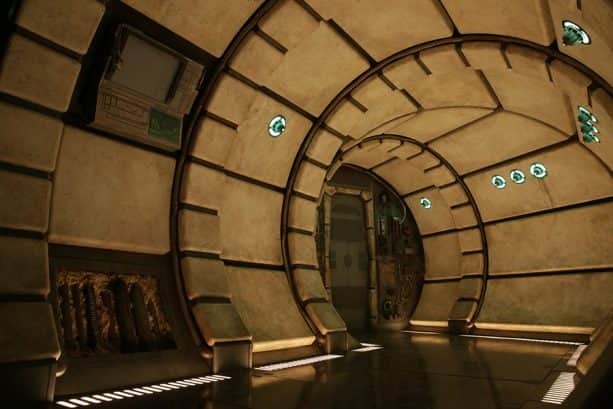 I’m really looking forward to Galaxy’s Edge opening at Disneyland.